Jaybridge Robotics in cooperation Kinze agricultural equipment manufacturer have unveiled the first autonomous grain cart system. The driverless system is fully controlled by advanced software and is capable of performing a complete workflow during the harvest process. This includes locating a moving harvester in the field, synchronizing with it, collecting its grain and delivering that grain to trucks near the field for transportation. TurtleBot.eu , the official European store for Willow Garage's open source, Kinect enabled, TurtleBot have been working hard at getting the original US design compatible with EU standards. The conversion meant swapping swapping the original iRobot Create base for normal consumer Roombas as well as creating a new power board, and adapting trays. The design plans for EU compitable power board and adapter are now available here . The original Willow Garage design can be found here . The Robotic Highway Safety Markers system was developed by Shane Farritor a Professor at University of Nebraska-Lincoln. The Robotic Safety Barrel (RSB) replaces the heavy base of a typical safety barrel with a mobile robot. The mobile robot can transport the safety barrel and robots can work in teams to provide traffic control. Independent, autonomous barrel motion has several advantages. First, the barrels can self-deploy, eliminating the dangerous task of manually placing barrels in busy traffic. To save costs, the robots work in teams. A more expensive "shepherd" robot with built-in Global Positioning System (GPS) navigation would position itself precisely, and then guide the placement of less expensive units, which measure out their positions based on wheel movement (a "dead reckoning" system). In tests, the robots were able to deploy themselves just about as well as humans could place them - their big wheels let them turn on a dime. Per Sjöborg has a series of audio interviews with leading researchers and thinkers in the field self-reconfiguring modular robotics. On his website Flexibility Envelope he describes the field of self-reconfiguring modular robotics as the joining two elements: The first part is Modular robotics. 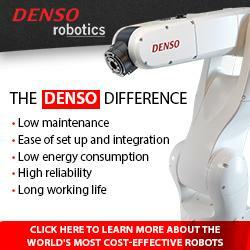 This is a branch of robotics that aims to build complex systems with simple components. A bit like Lego,simple pieces are,by cooperating,capable of building complex objects. The Second part is Self-reorganization to make the units able to move among each other on their own accord and thus reconfigure themselves from one task to another without human intervention. This also allows the system created to be active and dynamic. His audio interviews can be found on here and are a great listen. Birgus Latro has posted a write up and several videos looking at the Cubelets KT01 Construction Kit from Modular Robotics . This is the first production run of the Cublets and was limited to just 100 kits. Cublets are a modular robotics kit that consists of 20 magnetic blocks that can be snapped together to make an endless variety of robots with no programming and no wires. Each cubelet in the kit has different equipment on board and a different default behavior. There are Sense Blocks that act like our eyes and ears; they can sense light, temperature, and how far they are away from other objects. IEEE Spectrum has an article by Dr Massimiliano Versace about a memristor-based approach to AI that consists of a chip that mimics how neurons process information. Researchers have suspected for decades that real artificial intelligence can't be done on traditional hardware, with its rigid adherence to Boolean logic and vast separation between memory and processing. But that knowledge was of little use until about two years ago, when HP built a new class of electronic device called a memristor. Before the memristor, it would have been impossible to create something with the form factor of a brain, the low power requirements, and the instantaneous internal communications. Turns out that those three things are key to making anything that resembles the brain and thus can be trained and coaxed to behave like a brain. In this case, form is function, or more accurately, function is hopeless without form. Basically, memristors are small enough, cheap enough, and efficient enough to fill the bill. Perhaps most important, they have key characteristics that resemble those of synapses. That's why they will be a crucial enabler of an artificial intelligence worthy of the term. The robotic inspector looks like nothing more than a small metallic cannonball. There are no propellers or rudders, or any obvious mechanism on its surface to power the robot through an underwater environment. A robot outfitted with external thrusters or propellers would easily lodge in a reactor’s intricate structures, including sensor probes, networks of pipes and joints. As the robot navigates a pipe system, the onboard camera takes images along the pipe’s interior. The original plan was to retrieve the robot and examine the images afterward. But now the MIT project director and his students are working to equip the robot with wireless underwater communications, using laser optics to transmit images in real time across distances of up to 100 meters.